(San Bruno, Calif.) Unity Care, a youth and family development agency providing services and support for San Francisco Bay Area underserved and foster youth, will host its third annual Independent City, a workshop to prepare teens for life after exiting the foster care system. The free, day-long event will take place on Saturday, October 28, 2017 from 9:00 a.m. to 3:00 p.m. at Skyline College, Building 6, 2nd Floor. 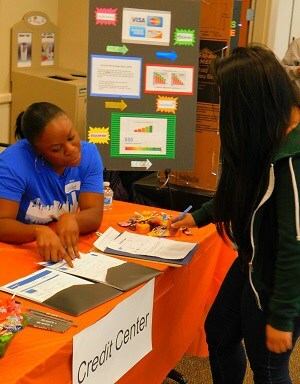 The college is located at 3300 College Drive, San Bruno, Calif.
At the event, youth will learn strategies to conquer the challenges of living on their own such as managing their money, accessing needed services, and navigating the experiences of everyday independent living. In addition, they will receive a complimentary lunch and be eligible for cash incentives and drawings for a laptop, flat screen TV, bike, and other great prizes. Youth will be issued “passports” to explore 20 different life skill booths hosted by Unity Care Community Partners. There, they will learn self-sufficiency through hands-on practice, completing a list of everyday tasks and resolving the issues they encounter. For example, they will meet with a banking representative to learn what is required to open checking and savings accounts, visit the grocery store to practice purchasing goods on a budget, and interact with agencies like the DMV regarding registering their vehicle. Partnering agencies hosting information booths include: Alameda County Independent Living Program, California Youth Connection, CLCP Foster Youth Program, Fresh Lifelines for Youth, Guardian Scholars Program, The Optimist Club of San Mateo, San Francisco CASA, San Mateo County Casa, San Mateo County Human Services Agency, Silicon Valley Community Foundation, Skyline College, Star Vista, and Wells Fargo Bank. Independent City is funded by a grant from the Henrietta Aigner and Joy Baldwin Family (HAJB) Foundation. About Unity Care Unity Care offers a wide range of services benefiting at-risk and foster youth and their families throughout Northern California. Its signature program, established in 1993, focuses on serving the housing needs of youth in foster care and beyond. The organization’s mission has grown and expanded over the past two decades and, today, includes more than two dozen community-based, education and behavioral health programs, aiding approximately 7,000 underserved youth and families annually.